"Lourdes is littered with discarded crutches and we can argue the toss about whether it’s a result of psychosomatic healing or divine help. But a remarkable number of those miracles of healing have been independently verified by doctors with no church connections. And that’s a fact." I think you'll find "the fact" is that in the history of Lourdes pilgrimages, less than a hundred Vatican-ratified miracles are deemed to have occurred. Taken as a percentage of the total number of pilgrims visiting the shrine in the hope of a miracle, that's an appalling record. In an interview with The Daily Telegraph’s columnist Mary Riddell on Sept 11, Lord Phillips said he felt “enormous sympathy” for terminally ill patients who wanted to end their own lives in assisted suicides. He added that he sympathised with people facing a “quite hideous termination of their life” as a result of “horrible diseases” who wanted to avoid a prolonged death and spare their relatives pain or distress. The campaigners claimed that these remarks showed that Lord Phillips had allowed his personal views to colour his judgement in the Purdy case - which overturned two early decisions by more junior courts - as the country’s senior Law Lord. Would it have been better if Lord Phillips had said he felt "no sympathy" for terminally ill patients? The Christian Legal Centre seem to be impugning the man simply because they don't agree with his judgement, when all he's doing is showing that he can see both sides of the argument - which is surely what we want in a judge. Take it at the earliest sign of a cold or flu. Early intervention is essential. If you are exposed to someone with the flu directly, you can take one dose twice a day for two days. You can also take one vial once a week throughout the winter, and two or three times a week during flu season, as a preventative measure. Well, at least you won't die of thirst (or perhaps it's sugar-deprivation). "Enough. You don’t have to read this introduction; the theology is as dreadful as the science." Craig's God is for those of a strong stomach only. This deity's morals are the epitome of fickle caprice - he may lay down the law for you, but he doesn't follow it himself. And he may even command you to break his law ("Do as I say, not as I do"). And anyway, what does it matter if innocents are slaughtered? If they're innocent they'll be going to heaven that much sooner. Manicstreetpreacher dissects Craig's repugnant moral philosophy with surgical abandon. Greta Christina is thinking big. Ibn Warraq points out that the approval of the recent UN Human Rights Council resolution (US co-sponsored) against - among other things - "negative stereotyping of religions" ought to mean that the First Amendment be repealed. Somehow I don't think that's going to happen. The beginning of Stephen Butterfield's series of blog posts on the Alpha Course. Upcoming Skepticule interviewee Crispian Jago gives us his TAM London round-up. JREF president Phil Plait reviews the event. a) Theology is irrelevant, b) Theology is about dishonesty, c) Theology is without substance. Evolutionary Theory: Is This All There Is? 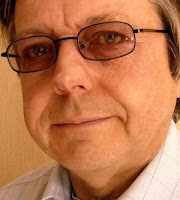 Paul S. Jenkins, writer, podcaster and tech-enthusiast (and atheist and skeptic) lives and works in Hampshire, UK. Notes from an Evil Burnee is his blog about things skeptical. Evidence other than evolution for optimization daemons? Non-religious up by a million; Christians down by 700,000 – each year in Britain. April 25th – Prof Danny Dorling – Time for the truth: We ‘left’ the EU because of Hampshire. Conservatives in the Academy IV: Oppressed? This Website Is Being Retired Find Us On Facebook! "Hey Atheists, You're going to Burn in Hell"
Wow. EU delayed flight compensation is good! We are in the Podcast Awards and we need your daily votes! The dangers of 'no free will'? Pod Delusion - Episode 203 - UK, Syria and Chemicals. Did Pilate have Jesus executed?